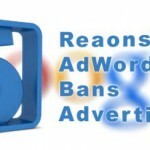 Google AdWords terms and conditions are extremely easy to violate. Unfortunately, this means that there will be strive between advertisers and Google from time to time. Occasionally people will send us questions about how their Adword’s accounts can be recovered. Google say that user’s accounts are banned simply because the user did not meet their guidelines. Are you one of these user’s? Below are some instructions about how you can get your account back up and running again. Google may think that a user’s account is too similar to an account that has already been banned. Not meeting the guidelines on a continued basis. Not paying the fees for advertising. Not meeting guidelines that will harm the user in some way. If you do not want your account to be banned, the simple thing to do is to simply follow all the guidelines. Regularly keep your notifications up to date. You really want to know if something has not been done correctly. If Google has not allowed an advertisement, you can correct what you did, and don’t do the same thing again. If Google has not approved your website then immediately contact them and ask them the reason why this has occurred. Always check and thoroughly read through the guidelines Adword’s have on a regular basis. Please click on this link to view Google’s latest guidelines. These will tell you what their latest guidelines are. Note: Be aware that there are times when you will not be told that your account is about to be banned. If you experience this, it is possible your account can be recovered. However, a Paid Search may not work for some businesses. 3. What Will Occur When An Account Has Been Banned? Signing up for a new account much the same as your old one will be banned. All advertisements will be removed. Merchant accounts will also be banned. Other similar accounts will also be banned. A huge error we see is users not fixing up their mistakes. If mistakes are not fixed up, you can certain your account will be banned. They do all they can to avoid fixing their mistakes so they try to sign up for a new account. This should NOT be done. You can be sure that Google will ban you and you will likely never to have an account with them ever again. Google may not ban a user immediately, but be aware they will get to you. 4. Know What Google’s Guidelines Are. Most users are too busy to make the effort to know what Google’s guidelines are. Whilst not everything needs to be known, at least have an understanding of what the main guidelines are. Particularly those that are appropriate for your business. Have a read of their advertising guidelines to gain a good understanding of them. 5. What Should Users Do When Banned? Always look for a reason for why you were banned. Google will notify users with a few different warnings. These warnings will inform users of what they can do. Not meeting guidelines will definitely ban you. However, you can go through an appeal process to recover the account. Correct your mistakes. Provide a report with as much information as possible. Tell them what you did to correct you mistakes. Send your appeal to them on this link. Never send an approval without correcting your mistakes correctly. Your account may have experienced unauthorized activity or sign in attempts. This is to keep you from being harmed. If your account has been compromised then click on this link. If there has been strange occurrences with your payments, then you will be banned. All outstanding payments must be paid. If not, you will be banned. To avoid this, sign into the account and make the necessary payments. 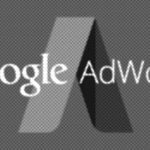 Then get in touch with Adwords and inform them payments have been made. Never mess around with the Terms and Conditions Adwords have made. If you do, you will certainly be banned. To prevent any form of banning from occurring, simply meet all of the guidelines and make all required payment. How hard is that? !